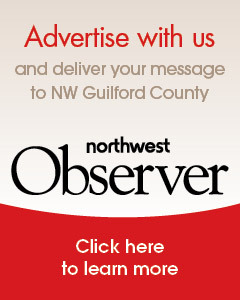 -->Thank you for placing your classified with the Northwest Observer. Classifieds are $4/line per issue. The deadline for each Thursday's issue is Monday at midnight. You can select up to 10 issues when placing your ad online. If you would like to have your classified ad run continuously, please call Marilyn at (336) 644-7035, ext. 10. To continue, please click the "Next" button.